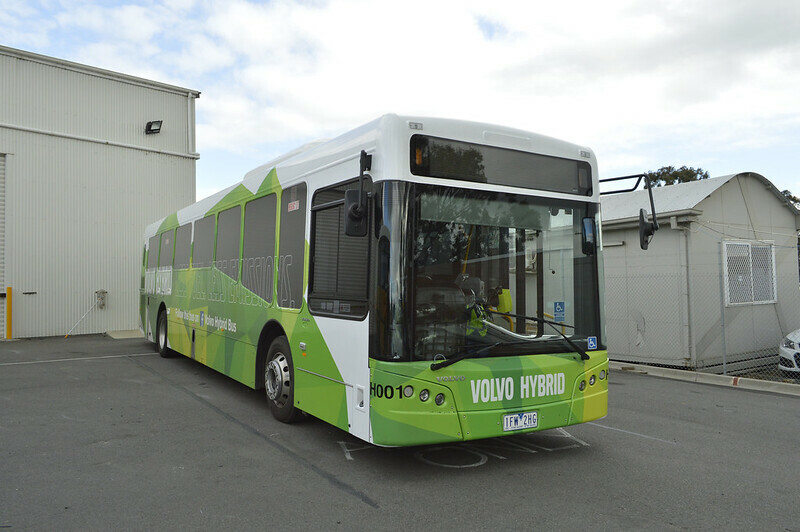 In August Latrobe Valley Bus Lines announced that they would be trialing a new Volvo hybrid bus courtesy of Volvo Australia. 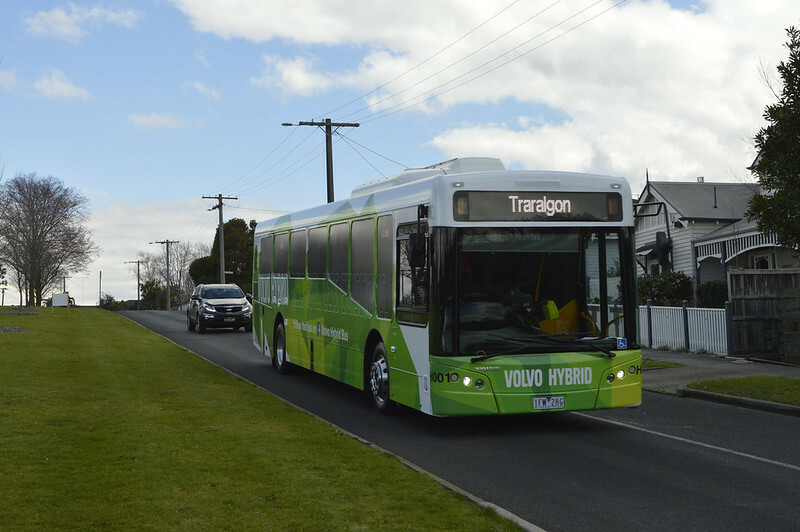 The bus previously spent time in New Zealand before beginning route service around Traralgon in late August. 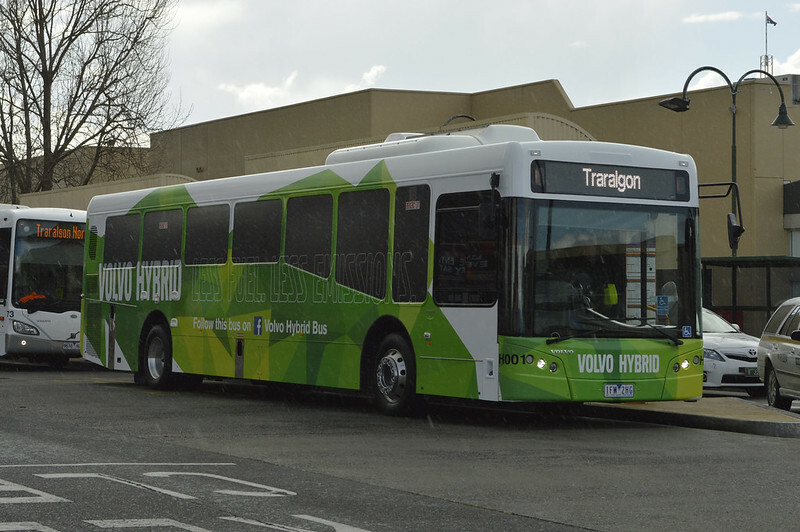 The bus is a B5RLE hybrid with a bustech 'VST' body. 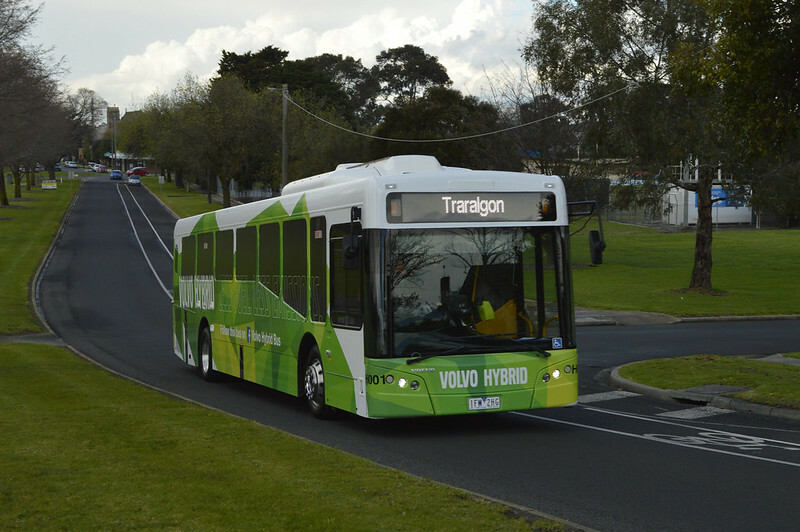 On the 31st August 2016 the official public launch of the bus was held where various officials from Latrobe Valley Bus Lines and PTV made various speeches and members of the public had the opportunity to ride the bus for free. 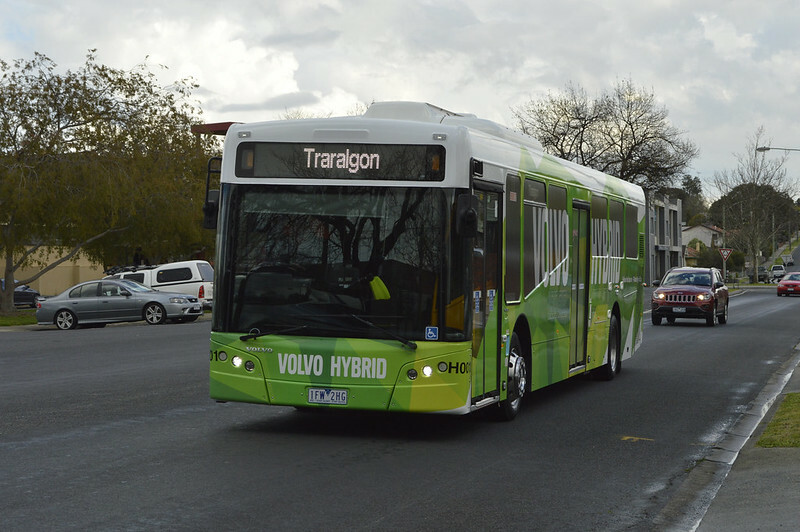 I headed to Traralgon on this day to see the bus in action. 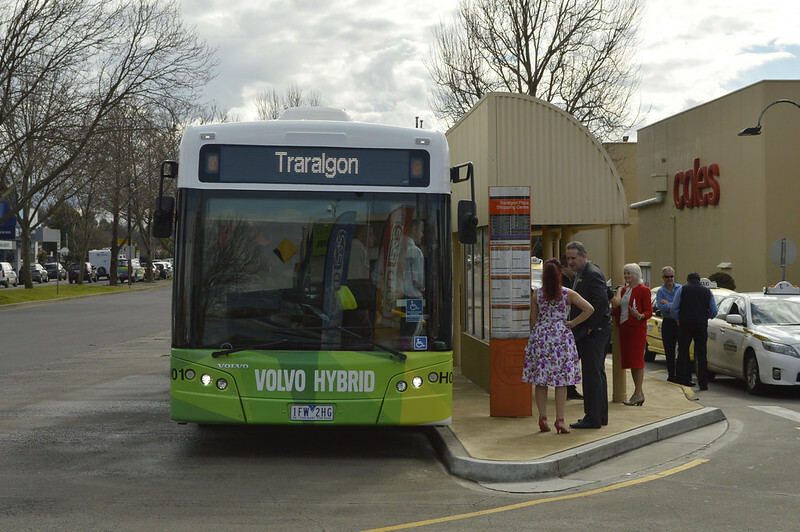 Sitting outside Traralgon Plaza, the main bus interchange in town where the public launch was held. 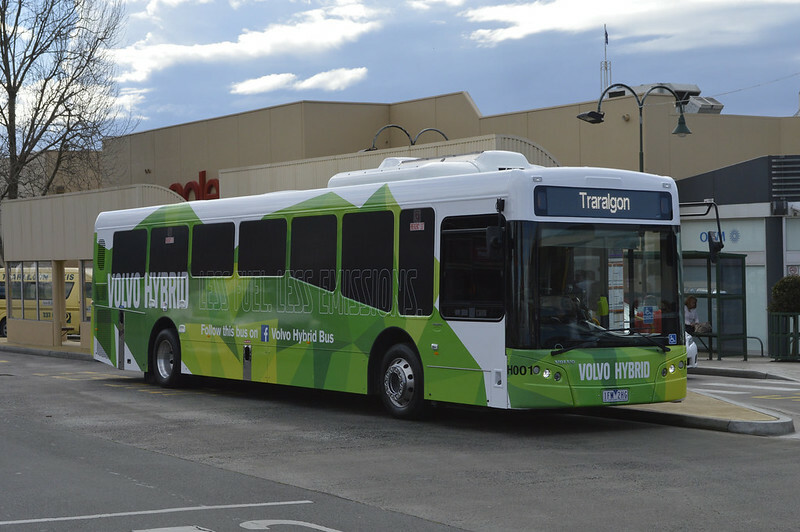 A side view showing off its unique green promotional livery. 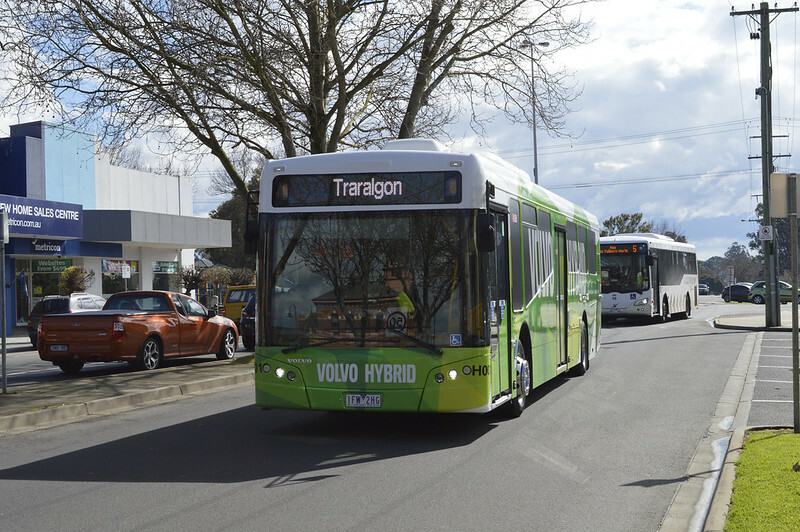 Returning to Traralgon Plaza after completing its first free shuttle. 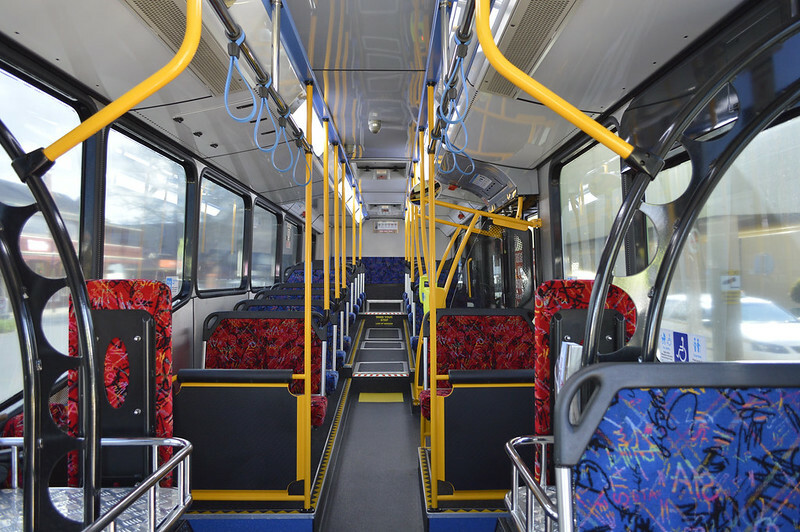 An interior view with State Transit Authority New South Wales specifications. 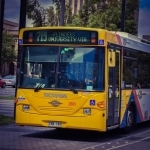 Thus bus even had NSW stickers in it. Another view from the back while on board one of the shuttles. 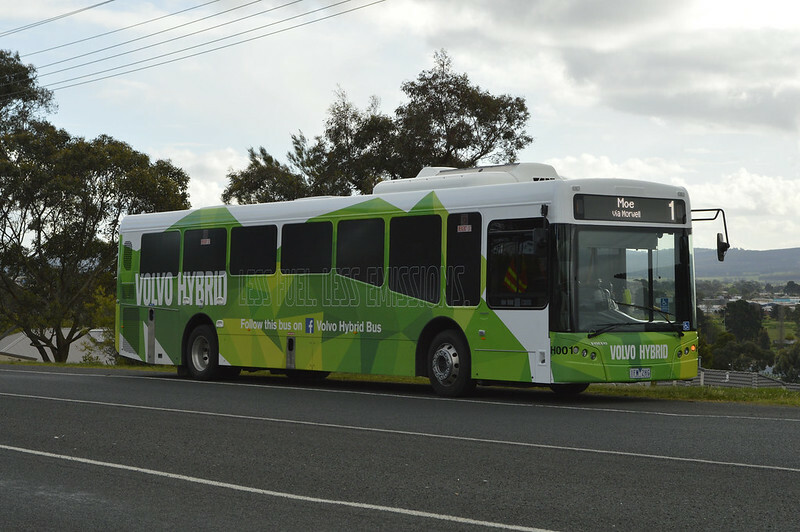 Because none of Latrobe Valley's buses have a rear door, the rear door on this bus was not in use. Taken of Grey Street during a shuttle. Climbing up the hill on Kay Street. Moments later we see the bus again climbing down the hill. The unique bus had aroused interest among bus enthusiasts who were keen to take a ride on it. 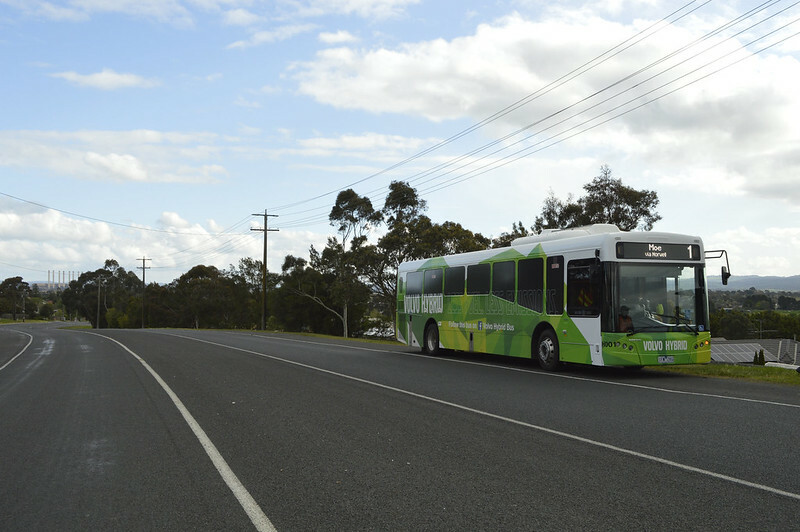 That's why on the 25th September 2016 the Bus & Coach Society of Victoria paid a visit to Latrobe Valley Buslines to sample the bus. Here's some shots taken in the depot. A look at the engine bay. 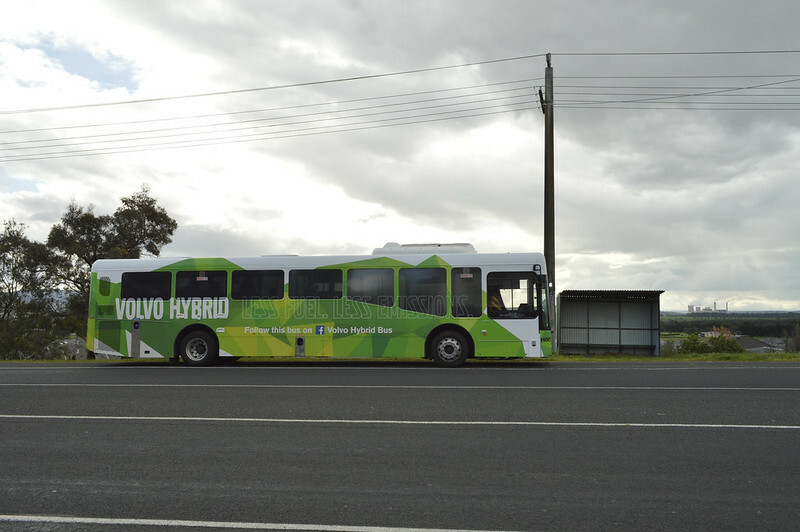 The bus is a parallel hybrid where the bus is powered by electric motors up to a speed of 23km/h. After that the 5 liter diesel engine kicks in to power the bus. After that we all took the bus for a test ride to various photo spots. 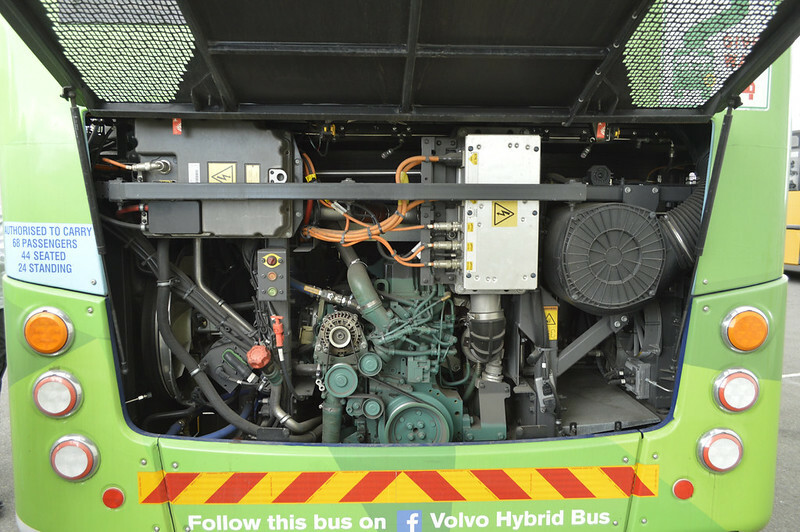 The bus utilizes stop-start technology where the diesel engine shuts off while the bus is stationary. Many of the enthusiasts on board made jokes that the bus driver was stalling the bus . 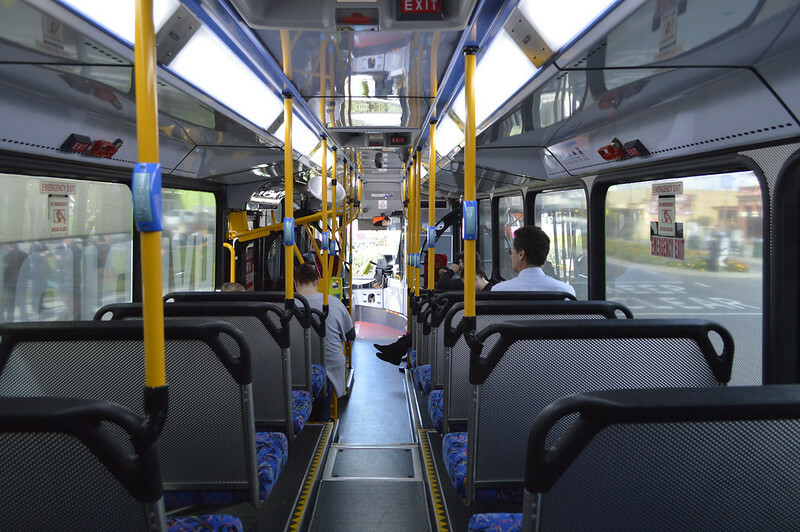 Being on the open road acceleration of the bus felt slightly slower than a normal conventional bus. 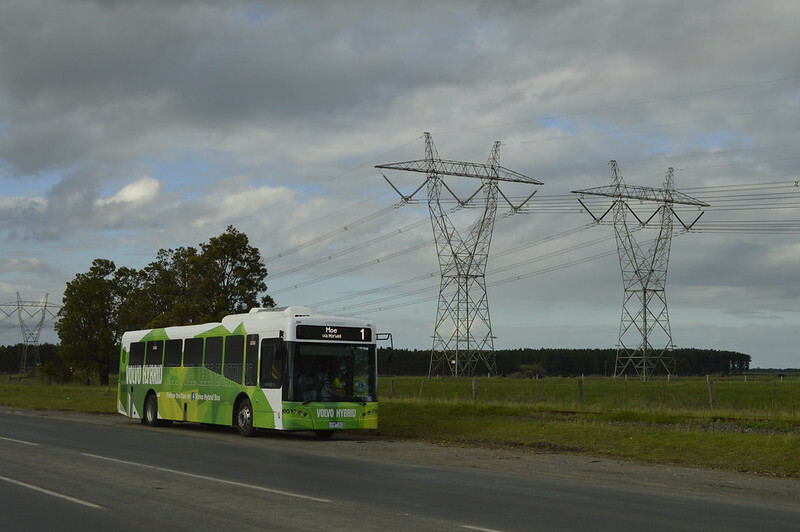 Particularly when the bus switches from electric to diesel power as there's a noticeable pause in power delivery. A bus driver I was speaking to said the bus had a top speed on 95km/h which meant that it was up to a minute and a half slower on certain routes compared to a conventional bus. Taken at the first photo spot somewhere in Morwell. In the background of this shot is the infamous Hazelwood Power Station, the dirtiest in Victoria and the location of the mine fire in 2014 which blanketed the town in thick smoke. A contrast between dirty power generation and good environmental intentions. The Yallourn Power Station can be seen in the background of this shot. We then headed to the second photo stop next to some transmission lines. The railway line to the Maryvale Paper Mill can be seen behind the bus. In a country where hybrid buses are relatively rare it was definitely an interesting bus to ride on. Whether or not the trial is a success which leads to more orders remains yet to be seen. Yes, the City Loops are becoming very quiet. Courtesy Adelaide and SA Memes Facebook page. Look on the plus side at least SA is carbon neutral at the moment. The Greens are rejoicing! I read in the news recently that if Engie decides that they want to decommission Hazelwood that a developer wants to turn it into a health spa. Wouldn't that be ironic? 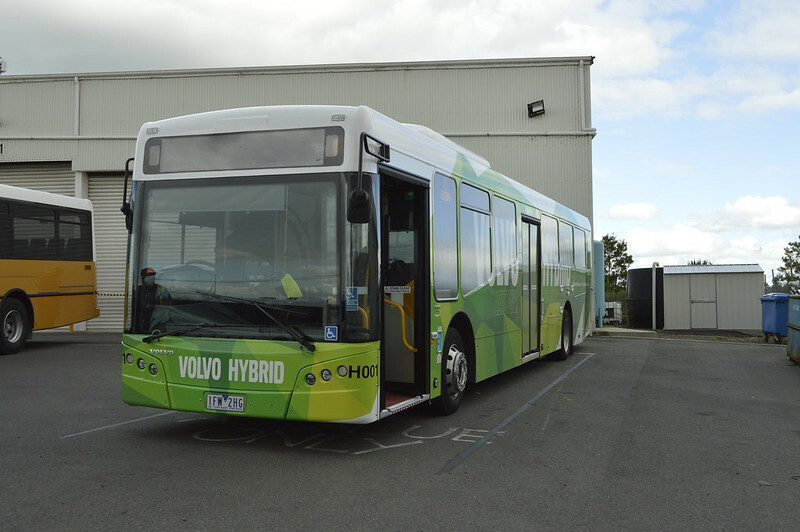 The photo of the hybrid and Hazelwood in the background is actually a great photo as well, along with the caption. Well done!